Burgess Hill residents claim there could be even more traffic chaos and car parking congestion in Green View off Royal George Road if plans are approved to demolish the Royal George Road Day Centre and replace it with 8 new houses. Planning application DM/18/5068 would see 4 x 2 bedroom and 4 x 3 bedroom homes built on the land. The applicant is Britecroft LTD. The building in situ, Bluebell House Recovery Support Centre, is run by the Sussex Partnership National Health Service Foundation Trust and currently provides a therapeutic day service for people in West Sussex with diagnosed personality disorders or complex needs. 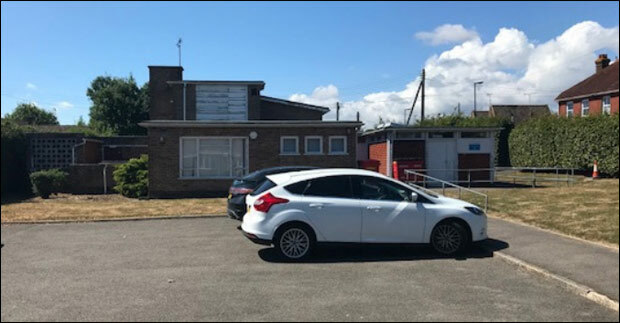 The loss of the community facility would be permissible under the terms of the Burgess Hill Neighbourhood plan as the building has been deemed no longer viable for continued health use and now form part of the Sussex and East Surrey Sustainability and Transformation Plan disposal programme. The service will be relocated to an existing Trust property in Horsham. Local residents are concerned by the proposed development and have submitted representations to Mid Sussex District Council's planning department. A local resident wrote: Parking in the area is already at a premium and, even with a designated parking space for each new property, there is no allowance in the area for visitors. This already results in inconsiderate parking along Green View making it difficult for residents (several of whom are elderly and/or have mobility issues) to be picked up/dropped off outside their properties. I have also witnessed an ambulance being unable to pass in Green View due to such parking issues, this will all only worsen with a further 8 households living in the close vicinity. While another stated: Parking restrictions introduced in Royal George Road and development of West Hill over the years have resulted in an increase in vehicles (particularly commercial vehicles) parking anywhere they can in and around Green View/Orchard Road/Orchard Way/Peartree Close creating limited visibility in the area, hindering access and in some instances blocking the road to such an extent that delivery/emergency vehicles cannot pass. It's an ever increasing source of friction and frustration for residents. 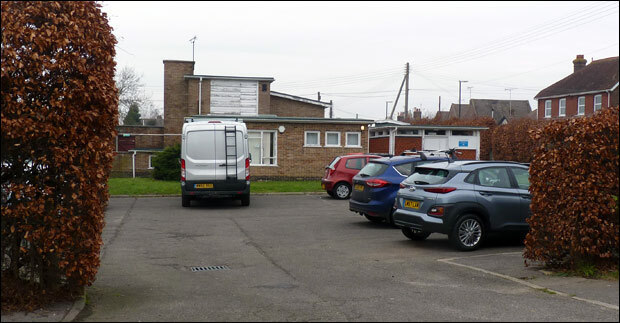 There are usually cars parked in the site's existing car park, and in addition there is the added congestion resulting from the Bowls Club's members vehicles and those of their match visitors. The planning application provides for 16 parking spaces (2 per household) but the proposed block layout plan 2 shows some of these spaces as a double row which means the car in front has to move if the car behind wants to get out. As these are 2 and 3 bed dwellings it's likely each household will own at least 2 vehicles and there is no allocated visitor parking which is of particular concern as the area cannot sustain any further additional parking in the surrounding roads as a result of this development. Spread the word! The Royal George Road Day Centre could soon be demolished in turned into 8 new homes. 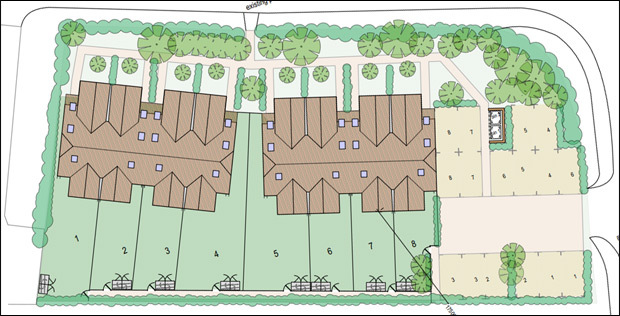 Do you think that 8 new homes with 16 car parking spaces is enough for the area?